Admission includes hands-on activities, a guided tour of the National D-Day Memorial, and a new special edition D-Day scouting patch! Scout Day is no longer rotations for 6 stations then a tour at noon. To accommodate more participants, stations will be open between 10:00 a.m. and 3:00 p.m. and you will get to choose your tour time when purchasing tickets. This will give troops flexibility in scheduling their visit to participate in stations before or after the tour. A vendor will be on site selling food and drink during the event, as well. For an additional fee of $5 per Girl Scout and Boy Scout, we will offer merit badge programs. Space is limited for the afternoon programs to the first 30 scouts for each program. Only Scouts need to purchase tickets for these programs. 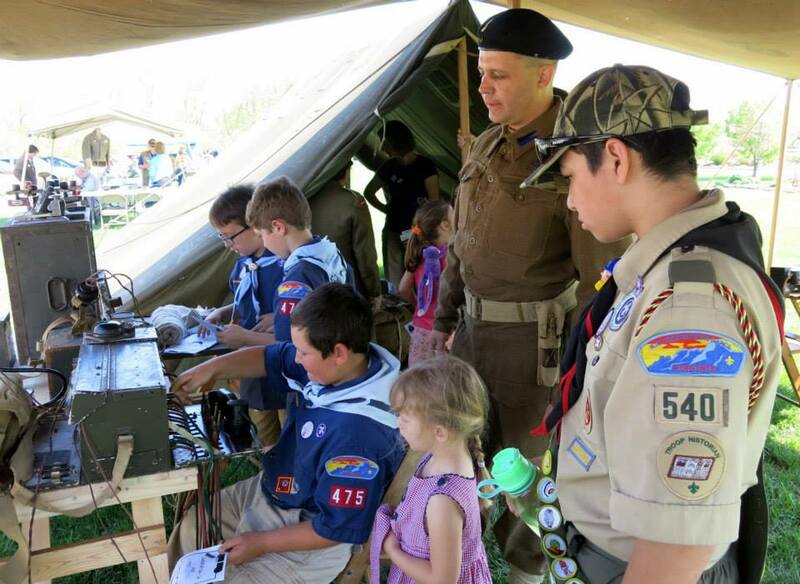 Parents and Scout Leaders are free for these programs. Girl Scouts “Public Speaker” is from 1:00 to 3:00 p.m.
Advance registration and pre-payment is preferred by Friday, March 15, 2019. Space is limited and programs and tours will sell out. No refunds will be given. Contact the Memorial’s Education Department at (540) 586-3329 ext. 111 or education@dday.org for more information.